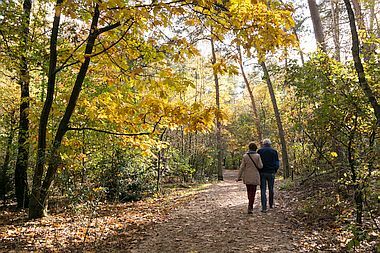 A couple takes a stroll in the woods. The house is surrounded by woods. The woods are a dangerous place for walking. He went for a hike in the woods.